Perfect Constructions services are Commercial underpinning Melbourne, Commercial builders Victoria, Commercial builders Melbourne, Commercial Construction Melbourne, Commercial underpinning Victoria. 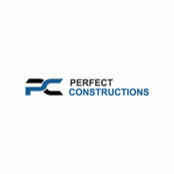 Professional Information:Perfect Constructions is a most popular construction company in Victoria, Melbourne area. We are famous in underpinning, builders and constructions.